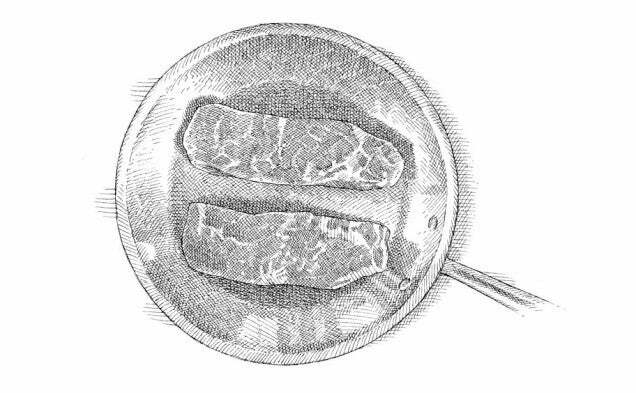 You can cook meat a number of different ways, from roasting to pan-searing to barbecuing. However, there are five basic principles that apply to the vast majority of techniques when it comes to meat and poultry. Here’s what we’ve found after years of cooking in our test kitchen. 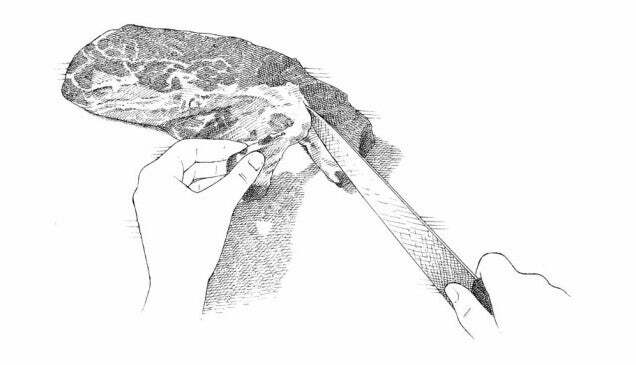 To ensure that meat browns properly, first make sure the meat is dry before it goes into the pan; pat it thoroughly with paper towels. This is especially important with previously frozen meat, which often releases a great deal of water. Second, make sure the pan is hot by preheating it over high heat until the fat added to the pan is shimmering or almost smoking. Finally, make sure not to overcrowd the pan; there should be at least 1/4 inch of space between the pieces of meat. If there isn’t, the meat is likely to steam instead of brown. If need be, cook the meat in two or three batches. An experiment we recently conducted proves that even cooking isn’t the only benefit of slow roasting: It also helps minimize the loss of flavorful juices(and fat). We took two 6‑pound rib roasts and roasted one at 450 degrees and the other at 250 degrees until each was medium-rare. We then weighed the cooked roasts. The slow-cooked roast had lost about 9.25 percent of its starting weight, while the high-temperature roast had lost nearly 25 percent of its original weight. Why the difference? Proteins shrink less and express less moisture and fat when cooked at moderate temperatures than when roasted at high heat. Cooking at the wrong temperature is a common mistake. Since the temperature of meat will continue to rise as it rests, an effect called carryover cooking, meat should be removed from the oven, grill, or pan when it’s 5 to 10 degrees below the desired serving temperature. Carryover cooking doesn’t apply to poultry and fish (they don’t retain heat as well as the dense muscle structure in meat). The following temperatures should be used to determine when to stop the cooking process. 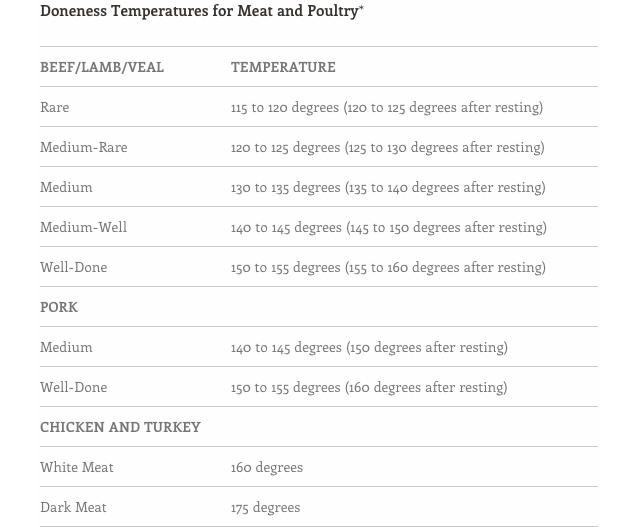 *These doneness temperatures represent the test kitchen’s assessment of palatability weighed against safety. The basics from the USDA differ somewhat: Cook whole cuts of meat, including pork, to an internal temperature of at least 145 degrees and let rest for at least 3 minutes. Cook all ground meats to an internal temperature of at least 160 degrees. Cook all poultry, including ground poultry, to an internal temperature of at least 165 degrees. You may read more information on food safety from the USDA. 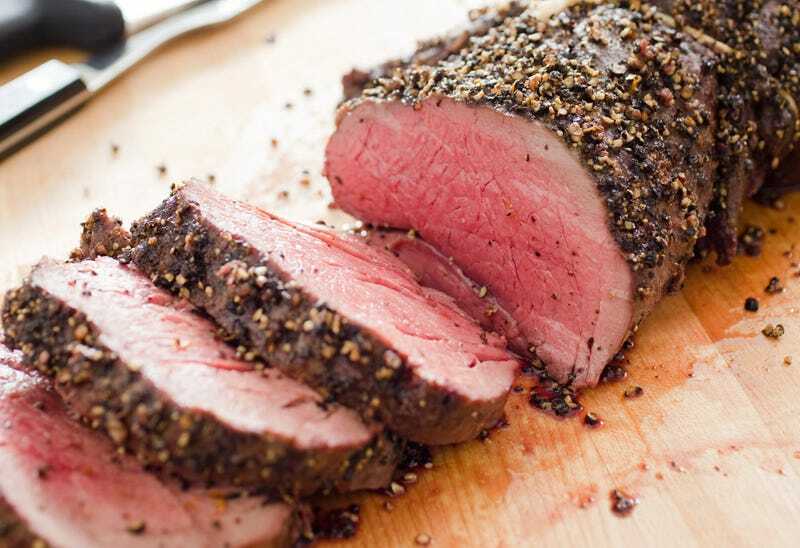 Now that you know the basic principles, try applying them to one of our recipes, like Pepper-Crusted Beef Tenderloin Roast. It’s easy to make—just oven-roast it until it’s done—and, as the absolute most tender cut of beef, it’s luxurious to eat. We boosted the flavor with a crunchy peppercorn crust.